The U.S. military will deploy five Osprey tilt-rotor aircraft to Yokota Air Base in the suburbs of Tokyo on Oct. 1 as part of a plan to introduce a total of 10 Ospreys to the base over several years, the Defense Ministry said Wednesday. While the ministry said the deployment will contribute to improving the response by the Japan-U.S. alliance to “various circumstances,” flying the aircraft in the skies over the metropolitan area could provoke public concern due to its history of accidents and mishaps inside and outside the country. The U.S. military has informed the ministry that the five Air Force CV-22 aircraft will engage in landings and takeoffs, supply air-drops and night flying drills around the Yokota base. 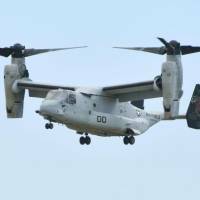 The ministry, which plans to deploy 17 Ospreys flown by the Ground Self-Defense Force to Saga Airport, is considering conducting a joint drill with the U.S. military using the CV-22 aircraft, officials said. Reflecting nervousness about the aircraft by residents, the Saitama Prefectural Government protested to the ministry in July when the Ospreys to be deployed to Yokota flew without prior notice to U.S. Air Force Tokorozawa Communication Site, which is located in the prefecture. 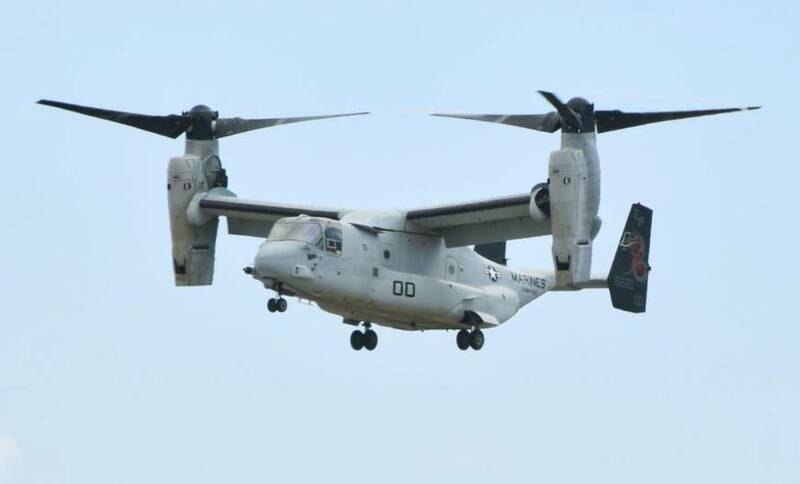 The aircraft, which takes off and lands like a helicopter but cruises like a plane, has a record of accidents, including a fatal crash of an MV-22 — the Marine Corps variant of the Osprey — in Australia in 2017 and a crash-landing of another MV-22 in Okinawa Prefecture in 2016. A total of 24 MV-22s have been deployed at Marine Corps Air Station Futenma in a crowded residential area of Ginowan in Okinawa.